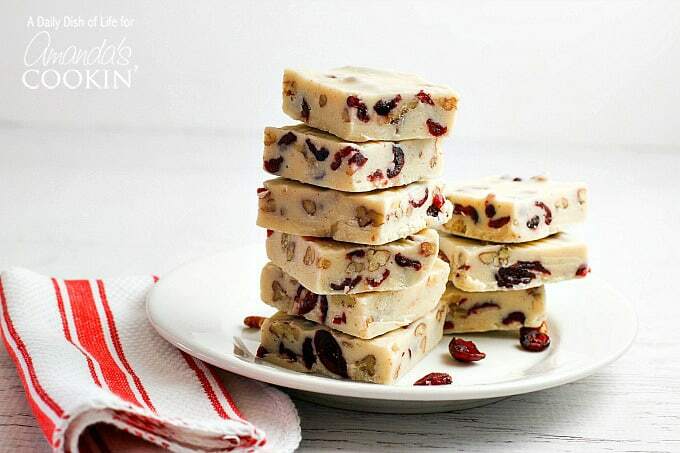 With cranberries, pecans, and holiday spices, this White Chocolate Cranberry Fudge is perfect for holiday parties and gift giving! 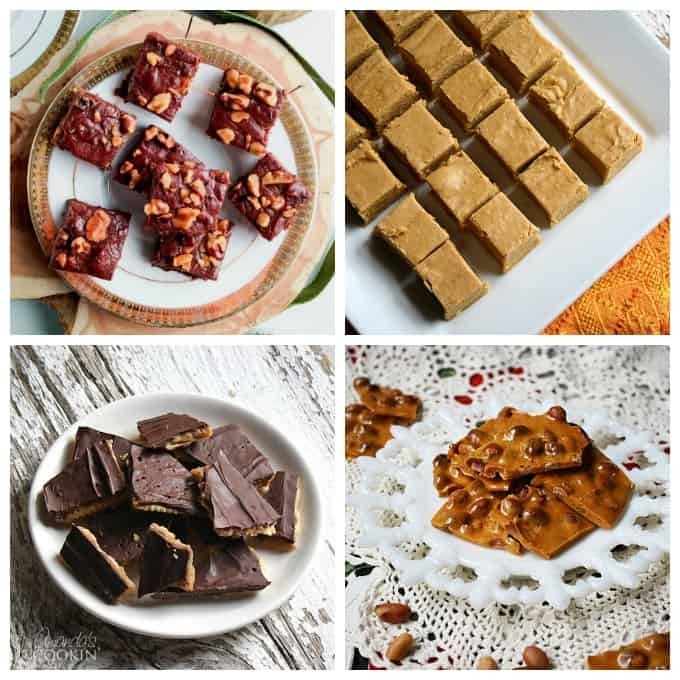 If you’ve never made fudge before, rest assured this popular type of candy it is very easy. 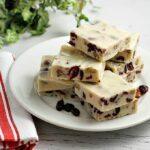 This White Chocolate Cranberry Fudge actually might be the easiest dessert treat you’ll ever make! And when I say that, I truly mean it. My oldest memories of fudge go back to my just-out-of-college days. That seems a little funny, but I don’t ever remember my mom making fudge. But my husband is from the east coast and after graduating college, we often visited Martha’s Vineyard, because his parents had a house there. And on the island, there was a little fudge shop, Murdick’s Fudge, that we always stopped at to buy fudge. They had so many delicious flavors, I couldn’t even tell you what my favorite was. But I do remember liking a certain cranberry fudge that they had. This fudge is not modeled after that one. It’s been so long that I’ve had their fudge that I couldn’t possibly remember what exactly it tasted like. 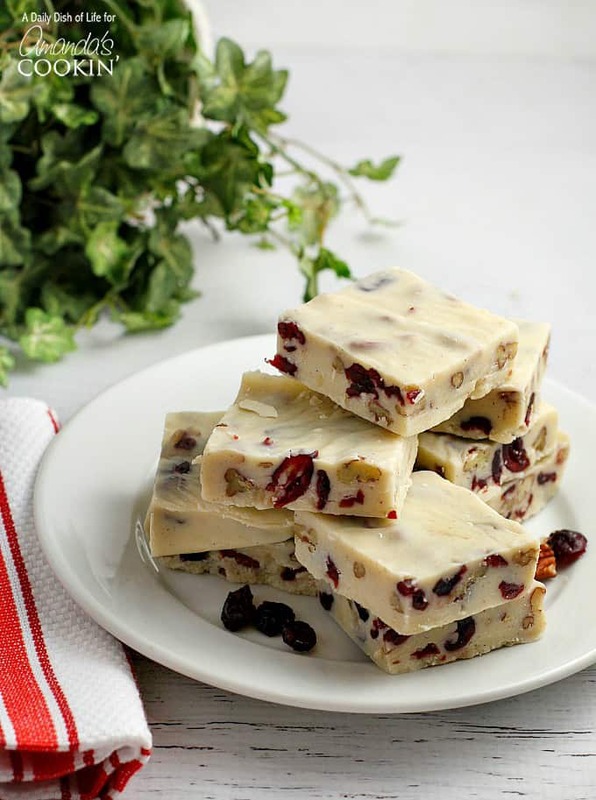 But cranberries do make me think of the holidays, and in my opinion, the holidays and fudge go hand in hand. Fudge is such a yummy treat to have on hand for holiday entertaining…and it’s a perfect addition to any dessert table. It also makes a wonderful gift. Think hostess gifts, teachers, coaches, special friends…who among us doesn’t like getting a homemade food gift?! It feels like something homemade comes from the heart. I find dessert daunting. You won’t find many of them on my blog over at A Dish of Daily Life. And the ones that are there are easy! It’s not that I don’t like to eat dessert. I definitely do. It’s just that I feel like I’m challenged in the dessert department. My daughter has a real talent for dessert, but she didn’t get it from me. There are no candy thermometers needed for this recipe. You’re going to do all your melting in the microwave. See, I told you it was easy! Your prep time for this recipe is about 5 minutes in total. The hard part is waiting for it to set. CANDIED PECANS…these yummy candied pecans make a great holiday gift or an easy recipe for a holiday cookie exchange. 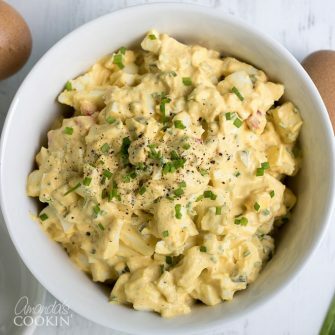 Enjoy them in salads or as a topping for desserts too! 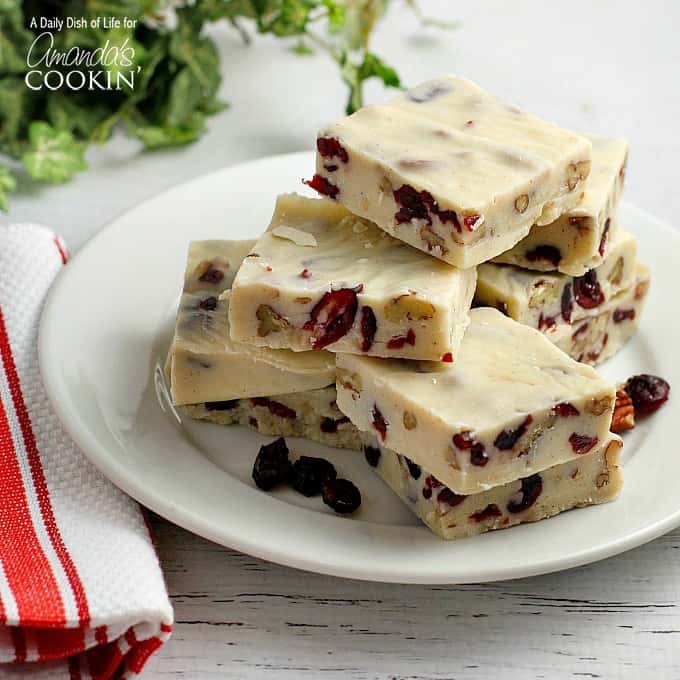 With cranberries, pecans, and holiday spices, this White Chocolate Cranberry Fudge is perfect for holiday parties and git giving! Place chocolate chips, sweetened condensed milk, and butter in microwaveable bowl. I used a large glass measuring cup because it has an easy pouring spout. Microwave on medium until chips are melted, about 3-4 minutes. You will need to stop and stir the mixture a couple times during cooking. 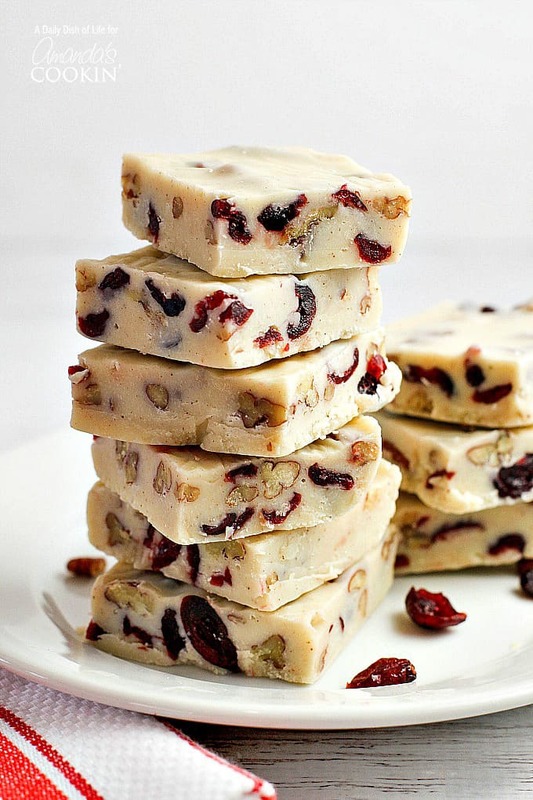 Stir in spices, vanilla, cranberries and nuts as soon as you take the mixture out of the microwave. Mix well. Pour into glass baking dish, and refrigerate for about 3 hours or until it is completely set. Cut into 24 squares.